I don’t see this discussed a lot, but it would be interesting to see what chess players describe as their favorite chess moments, and the resulting insights into their chess mentality. Admittedly, it’s a little difficult for me to truly appreciate my games because I spend too much time fretting over the mistakes caught by Stockfish. But I’ve always liked to scroll through past games when I’m bored, and have caught some exceptions over time. More than anything else, my attention shifts to my hardest-fought draws. Does that sound boring? Over the last few weeks, I’ve been struggling with an uncharacteristic lack of proper focus in my games. It’s always inspiring to remember that I was able to slog through long games against strong players where I was a move or two from getting clobbered throughout. Of course, I could have also chosen some of my wins under similar circumstances. I’m not ashamed to say I love those as well; however, eking out a win after spending the entire game on the run likely involves a little more luck than usual, and does detract a little from the whole “tenacity” thing. My favorite example is actually my fourth game from the 2015 Cleveland Open against, whose 40/100, SD/30 d10 time control was the longest I’d played at the time. Nevertheless, I was stretched to the limit in my last two games, notably barely making both time controls in both games. After an early inaccuracy that left me on the run for a while, I had managed to trade off most of the minor pieces and began to think the coast was clear. White soon showed quite clearly that this wasn’t the case. Trying to trade more pieces, but missing the real purpose of 24. Bb1. 25. Nxc6 Qxc6 26. Rg3! Suddenly, this is very awkward for Black. Castling is obviously impossible due to Qg4; oddly enough, 26…Kf8 was the best chance, due to 27. Qg4 Rg8. Instead, I played 26…g6? Fortunately, the immediate 27. Bxg6 doesn’t quite work, but White has many potential kingside intrusions. Even if most of them don’t work at a particular time, they will under some circumstances and Black at least has to be extremely careful evaluating each one. This was a bit of a gamble, since White has no immediate threats, I opted to temporarily postpone …Rd8, possibly until Rd1. For the future, Black prevents b4, which could knock proper defense off e6 if Black gets careless at the same time. 31. Rd1 Rd8 32. Rxd8+ Qxd8 33. Qe5 b6 34. Qe3 Rh8 35. h3 Ke7 36. Rg4 Qd3?! After meticulously checking for possible ways to get clobbered for a few moves, Black gets sucked into desperately trying to trade queens and pulls the game back into dangerous territory. 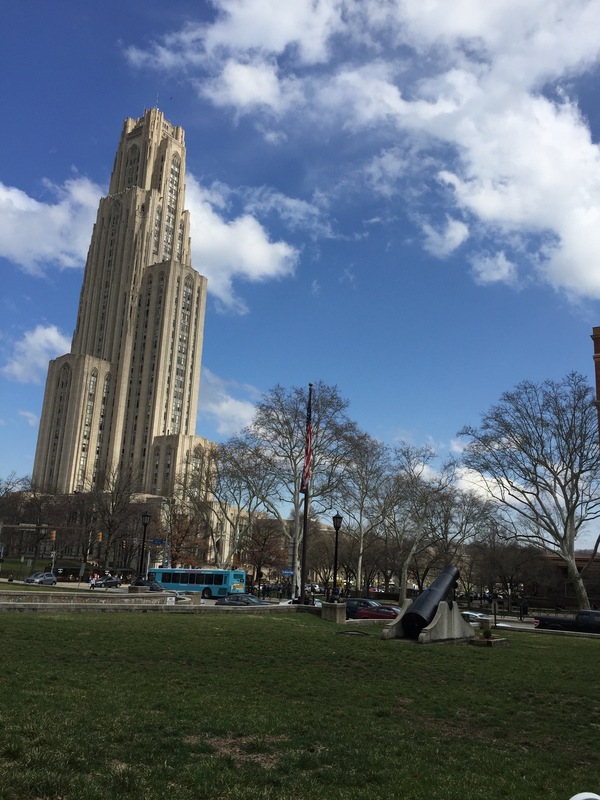 36…Qc7 defends everything surprisingly well: the d-file via …Rd8 and f7 if necessary (notably, …g5 is an option despite its weakening appearance). I anticipated White’s 40. Qd6+, so in some ways this was the true “move 40” decision, at with of course, barely a few minutes. Interestingly, after so many moves of surviving White’s potential threats, I was enticed by the weak pawns on the queenside. This pulled us, yet again, into another sketchy-looking position. The game move is a better version of 39. Kh2 (not allowing 40. Qd4+ as in the game), which after 39…Qxa2 is objectively about equal, though it may prove difficult for White to prove compensation. So far, I’ve been critical of my less safe decisions, but honestly, there’s nothing really wrong with bold decisions if you check them thoroughly. After the influx of 30 minutes for the 2nd time control, I began to be more confident in my chances to hold the kingside while snapping up the queenside. 41…Ke7 could have just led to a draw after 42. Qd6+, but I had also considered 42. Qh4+, after which 42…Kf8 43. Qxh6+ should be okay as Black has …Rc7 defending f7, but not 42…Ke8?? 43. Qf6 threatening Bc6+. Instead, I went with 41…e5?! 42. Qd6+ Kg7 43. Qxe5+ Kg8 44. Rd6 Qxb3! 45. Bd5! To my credit, I had checked 45. Rxg6+ since move 40. 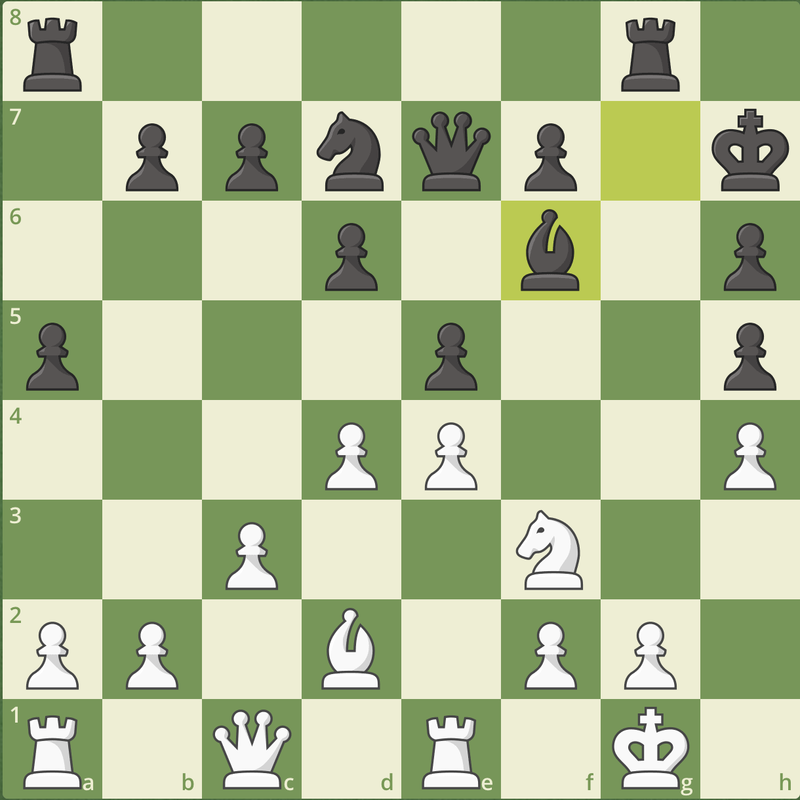 White does have a perpetual after 45…fxg6 46. Bd5+ but with only a queen and bishop, White has no mating attack so I was confident I hadn’t missed anything. However, after 45. Bd5 I was forced to go into a worse ending with 45…Qb1+ 46. Kh2 Qf5 47. 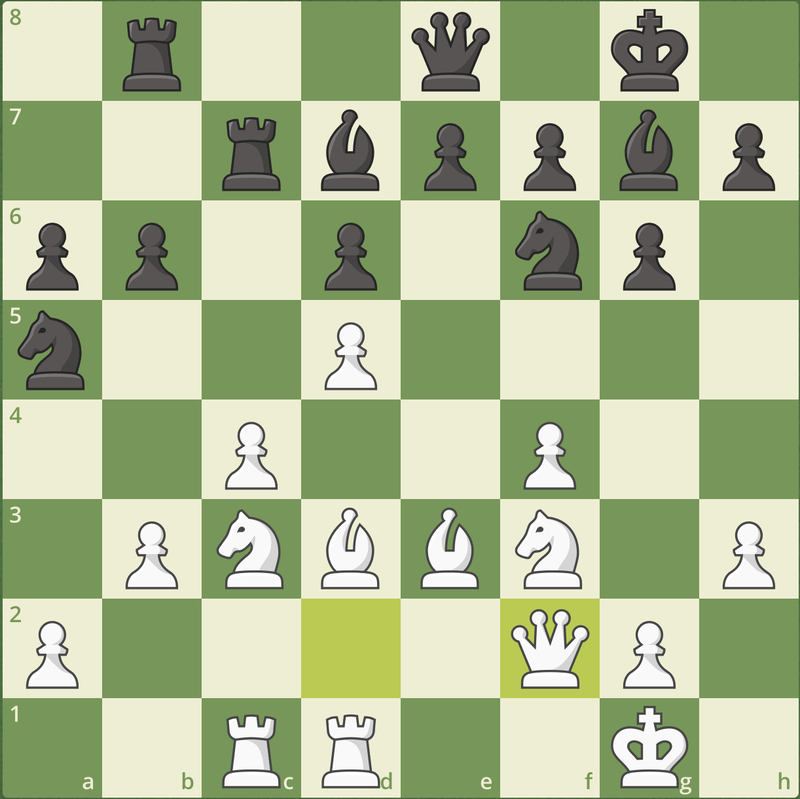 Qxf5 gxf5, although Black’s passed a-pawn does give good chances of holding. 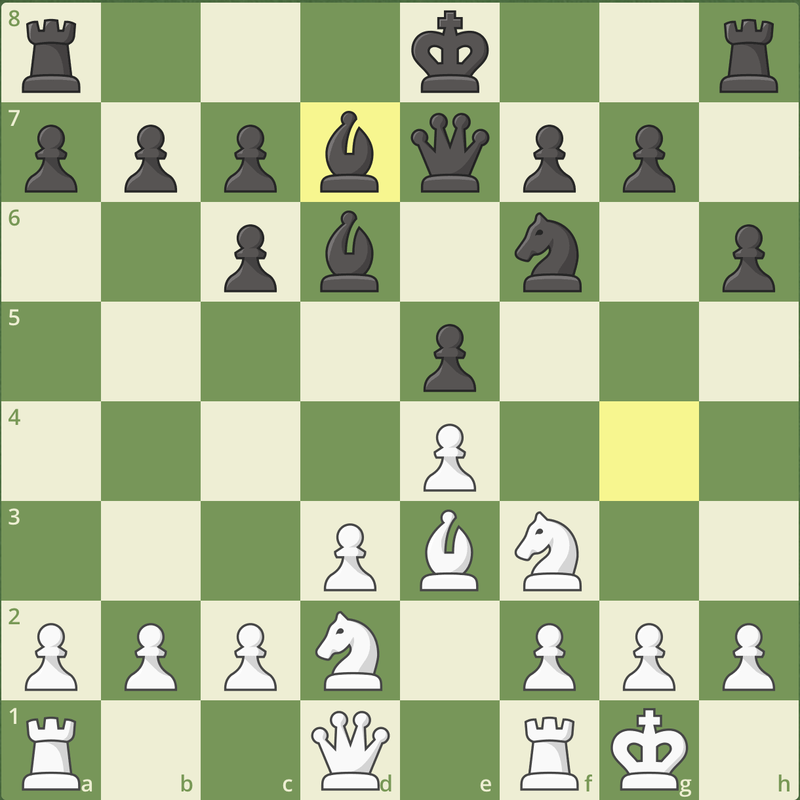 Nevertheless, even though White has yet to regain his pawn, Black must be careful; for example, after White’s 48. Rg6+, 48…Kh7 was not a happy choice but 48…Kf8? runs into 49. Rxh6 threatening Rh8+ and Rxb6. 48. Rg6+ Kh7 49. Rxb6 Kg7 50. Rb5 a4 51. Ra5 f4! The immediate 51…Kf6 faces difficulties after 52. f4 or 52. Kg3. 52. Ra7 Rf8 53. Kg1 Kg6 54. Rc7 Nb3 55. c5. Far from a perfect game, but no one has to expect to be perfect. In this case, calculating to the best of my ability worked, and underscored why I’ve been proud about my mentality. I never thought I would see a child doing squats at a chess camp. This and many other similar, crazy moments at the United States Chess School’s 34th camp are memories that I will cherish forever. Since 2006, IM Greg Shahade has held training camps for some of the best young chess players in the country. 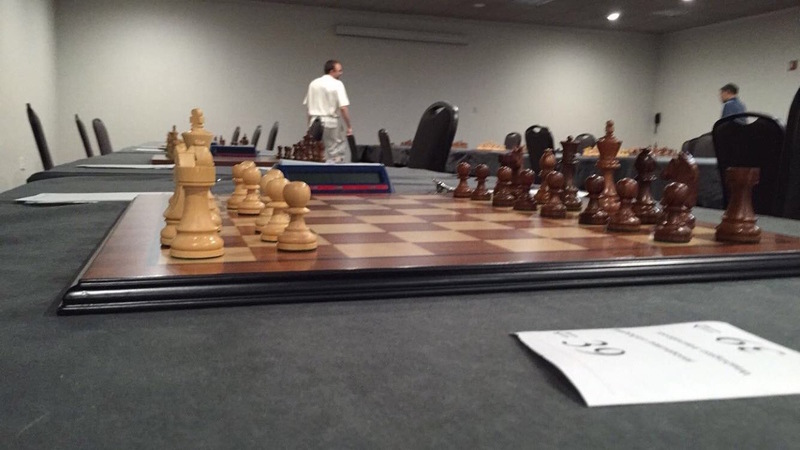 I was lucky enough to help out at the camp held at the famous Marshall Chess Club earlier this summer. Most beginners like me would typically never get the opportunity to attend this sort of chess camp. After all, the standards to qualify for the camps are getting higher and higher every year as players are becoming stronger at younger ages. The camp I observed was on the higher end of the spectrum: every child that attended was rated at least 2200. Among the talented group of students were the youngest master in United States history, Max Lu, and the youngest female master in United States history, Carissa Yip. In addition, the four girls who attended the camp are currently the top female chess players in the country under eighteen years old. During our camp, they were even interviewed by The New York Times for an article on the gender gap in chess. Although not every participant made the papers, each of the other children boasted their own similarly impressive achievements. I’ll admit that when I first arrived at the Marshall, I was nervous. I didn’t know what to expect. I had a million worries, which increased as more and more kids came to the club. I felt out of place- too old to fit in with the kids, too young to chat up the parents, not qualified enough as a chess player, and an all-around foreigner to this chess scene. Despite this inner turmoil, I had a job to do. 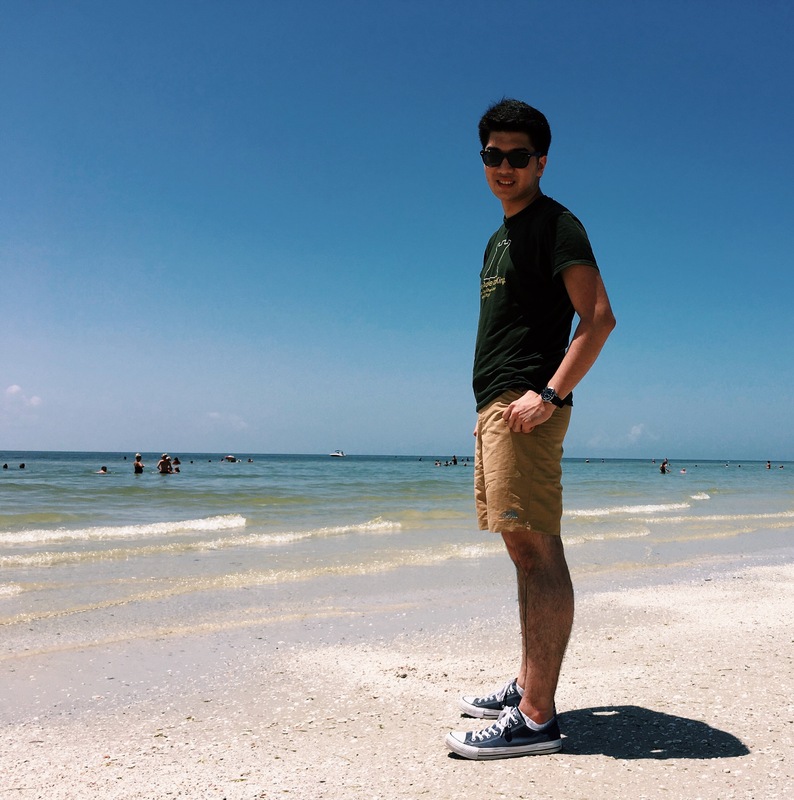 I currently help Greg with social media for the organization, updating the nonprofit’s Twitter and Facebook accounts when there is chess news to be shared about past camp participants’ successes. At the camp, my obligations included taking pictures, as well. I was there for work, so I sucked up my intimidation, stammered out introductions, and struggled to match names to faces. Greg announced my part in the camp and told everyone to smile if I pointed a camera in their direction. Greg launched right into a lesson, as almost all the kids had been to a USCS camp before. The puzzles presented were way over my head, as I was only a beginner. I watched the kids write down answers almost immediately and call Greg over to check their analyses. The room was soon full of voices shouting Greg’s name as the children discussed answers and variations. Amid the chaos I realized that their talent was coupled with enthusiasm, and a pattern emerged: the kids all wanted to be the first to answer questions (and to answer them correctly, of course). Over the next four days, I learned that these kids “misbehaved” uniquely. Instead of being distracted and not paying attention or going on tangents as children traditionally do at school, these kids got in trouble for being too enthusiastic about lessons, about chess. Timeouts were necessary and way too common, especially on day three, the day I’ve dubbed “Stripunsky & Squats.” GM Alexander Stripunsky came to teach the class and punishment was implemented in the form of squats when the campers called out. The children’s unique behavior continued well into lunchtime for the next few days. On the first day, I heard the kids cheering for 99 cents pizza, a tradition, as they crowded the doorway to leave for lunch. By day two, the kids were playing bughouse, blitz, and bullet during lunch “break.” Most of them didn’t take breaks from chess at all. They just asked their parents to bring back pizza from the pizzeria because they simply didn’t want to leave their boards. I doubt I will ever experience that dedicated atmosphere anywhere else. 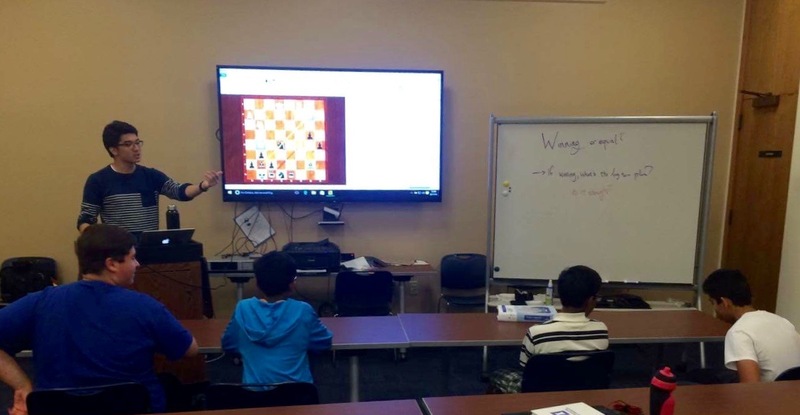 Magnus Carlsen, Irina Krush, and other top players have always inspired me, but I was infinitely more inspired by a group of ten to fifteen year olds. These kids embodied what it meant to truly work hard. For seven hours a day, their mind was on chess and only chess. They were talented and dedicated. I think the moment that shocked me the most was that every kid was able to set up a position in their minds blindfold style and solve a puzzle. I watched an eleven year old checkmate with a bishop and knight vs a king, a checkmate that even past women’s world champions have failed, with only a few seconds on the clock. I witnessed a twelve year old beating Greg in bullet. It’s hard to look at these kids and think that they’re so accomplished. They’re all young. But they aren’t to be underestimated. These kids are all going to do amazing things in the future. Not all of them will be grandmasters, nor will all of them play chess professionally. It’s clear, however, that they have found a passion, that they all have potential, and that they have gained qualities due to their chess training that will help them achieve their future goals no matter the relation to chess. I wonder if the kids will think back to this camp when they are a lot older and remember it as a time where they were able to easily fit in with others and find their niche, to be with others that were as passionate as they, as well. I myself found that I slowly interacted more with the kids, joked around during discussions. I laughed along with them, made references to the meat cleaver in the fridge, and had fun. In the end, I even got to play a few rounds of bughouse! I was quickly crushed by my superiors, but I had the time of my life. I owe my boss, Greg Shahade, my sincerest thanks. He watched me complete tactic after tactic when I wasn’t required to be doing my job and encouraged my slow but obvious progress. More than that, Greg was a phenomenal teacher and the mastermind behind the US Chess School. The camp would have been completely different if not for the exact circumstances. Greg as the teacher was one part of it. The kids’ chemistry, the timing of the camp (just after the World Open, which many of the kids participated in), and the location ALL contributed to the camp’s success. Of course we had no shortage of issues, late starts, and sad goodbyes, but we easily overlooked them. I cannot contain my excitement for next year’s New York camp. I’m sure it will be different as new kids bring their own brands of enthusiasm to the table, but it will be full of the same laughter, happiness, and inspiration I discovered this year. I wouldn’t miss it for the world. You can find out more about the United States Chess School at their website, Facebook, Twitter, and Instagram. 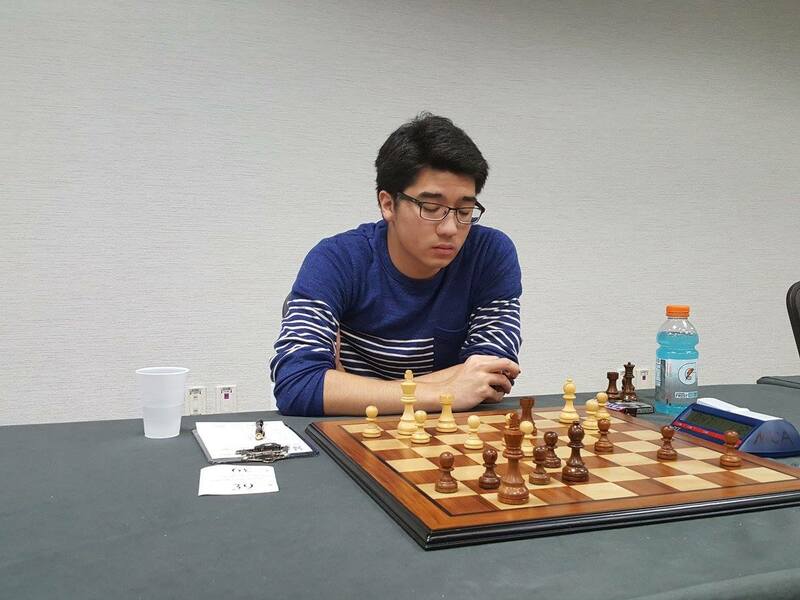 For those caught up with the recent chess events, you’ll know that Wesley So of Webster University won the 2016 Sinquefield Cup, staying half a point in front of the field from round 7 and onward. Wesley So actually began the tournament as the fifth seed out of ten people – right in the middle of the field. Now, of course, this being one of the prestigious tournaments in the Grand Chess Tour, everyone in the field is around the same level: the top of the top. But in a way he had it different, finishing in last place the previous year. Wesley So truly made an amazing comeback. Most of us can only ever dream to be at the top of the world like the players at the tournament, but (hopefully) we can usually relate to what Wesley must have felt going into the tournament: the feeling of being the underdog – nothing to lose and experience to gain. It’s that feeling of being the ‘expected loser’ that gives us that adrenaline and courage to play those crazy, and sometimes brilliant moves that help us clinch wins or transform losses to salvageable positions. I remember when I first breached that sacred barrier between 1900 and 2000 – it was my first tournament in 2011, where I beat an expert, a master, and drew a master in a quad. Growing up, I always played up a section – I was that fearless little girl who played the king’s gambit and constantly had my pawns extended towards my opponents king. I took risks. Risks that mostly paid off because my size and rating combination frightened my opponents. So naive little me thought, “Now that I’m 2000, I should totally play in the open section at Liberty Bell this year! It’ll be fun!” Nope. Not fun. Out of seven games, I got 2.5 points – a bye, and a draw and win against two other experts. Sure, I didn’t do horribly, but my self-esteem was basically gone. I played the same kind of chess – but those who truly belonged in the Open Section had the experience that made it evident I was either bluffing or just playing unstable chess. Sure, sometimes we have brilliant performances playing in the sections above us – but a question we really need to ask ourselves is “Can I beat those people lower rated than me if I were to play them?” Maybe you can – perfect! I strongly encourage continuing to play up to gain experience (unless you’re trying to win money of course). However, if you’re like me and you have a rather poor score against those lower rated than you, consider playing in your own section for once. Sometimes it’s necessary to lose and realize the necessity of creating a strong foundation for your rating. For me, it was accepting the fact that I needed to learn to beat those lower rated than me before challenging those higher rater that finally helped stabilize my performance and allow me to reach 2100 after four very long years. To truly succeed as an underdog in a section, it’s necessary to build a solid foundation so that we don’t waste our points losing to those lower rated than us.